Asylum seekers arrive to refugee reception center in the northern town of Tornio. File Photo – Lehtikuva. The government has proposed to insert new section in the Aliens Act with the view to tightening criteria for a residence permit for refugees. The proposal to amend the Aliens Act was submitted to the Parliament on Thursday. This would mean that an asylum seeker applying for international protection would be required to register with a specific reception centre on a daily basis. Otherwise, the movement of the applicant would not be restricted. The residence requirement could be enforced by the police, the Immigration Service or the Border Guard. According to the Ministry of the Interior, a similar residence requirement for refugees is in use in several European Union countries. According to the Ministry of the Interior, the change in requirements would ensure a smoother flow of the asylum process. An asylum seeker would therefore have easier access to the application processing, such as the asylum interview. The residence requirement would also be useful, in the government's view, in dealing with the return of those who have been denied asylum. The government has also proposed that the residence requirement could be an alternative to detention for a minor who receives a negative asylum decision. The requirement could be used for unaccompanied underage asylum seekers who are being removed from the country. A child residence requirement would be a milder alternative to detention and would reduce the need for detention. The child could be forced to live in a designated reception centre for children, to stay within its vicinity, and to report there on a daily basis. The child residence requirement would last at most two weeks. The time could be extended for two more weeks, if necessary for the country to secure the deportation. A child residence requirement would be imposed only when the child's detention conditions have been fulfilled. The proposal does not contain a waiver of detention for children. From the perspective of the authorities, detention is especially necessary in order to secure the deportation. 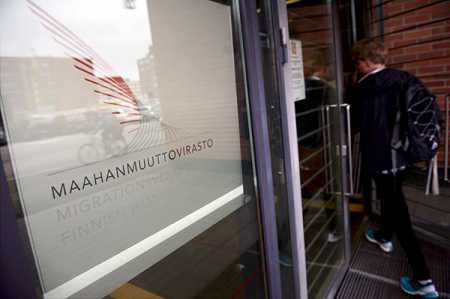 However, in practice, minors are held in detention in Finland very rarely.